When a tsunami sends a massive island made entirely of trash crashing into the Taiwanese coast, two very different people—an outcast from a mythical island and a woman on the verge of suicide—are united in ways they never could have imagined. Here is the English-language debut of a new and exciting award-winning voice from Taiwan, who has written an “astonishing” novel (The Independent) that is at once fantasy, reality, and dystopian environmental saga. Fifteen-year-old Atile’i—a native of Wayo Wayo, an island somewhere in the Pacific—has come of age. Following the custom of his people, he is set adrift as a sacrifice to the Sea God but, unlike those who have gone before him, Atile’i is determined to defy precedent and survive. His chances seem slim, but just as it appears that hope is lost, Atile’i comes across a sprawling trash vortex floating in the ocean and climbs onto it. Meanwhile, on the east coast of Taiwan, Alice, a college professor, is overcome with grief. Her husband and son are missing, having disappeared while hiking in the mountains near their home. Alice is so distraught that she decides to end her own life. But her plans are interrupted by a violent storm that causes the trash vortex to collide with the Taiwanese coast, bringing Atile’i along with it. Alice and Atile’i subsequently form an unlikely friendship that helps each of them come to terms with what they have lost. Together they set out to uncover the mystery of Alice’s lost family, following their footsteps into the mountains. Intertwined with Alice and Atile’i’s story are the lives of others affected by the tsunami, from environmentalists to Taiwan’s indigenous peoples—and, of course, the mysterious man with the compound eyes. A work of lyrical beauty that combines magical realism and environmental fable, The Man with the Compound Eyes is an incredible story about the bonds of family, the meaning of love, and the lasting effects of human destruction. The Man with the Compound Eyes by Wu Ming-Yi is a recommended novel that weaves magic realism into a novel with an environmental message. 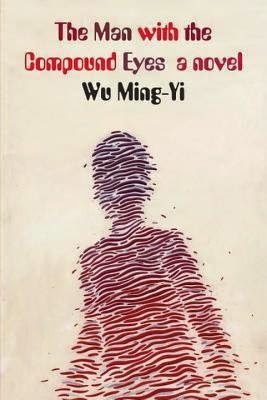 Originally published in Taiwan, the narrative of The Man with the Compound Eyes by Wu Ming-Yi follows two very different people, Atile’i and Alice. Atile’i, is an exiled teen from the Wayo Wayoan tribe, who "thought the whole world was but a single island. "Atile'i shared the fate of every Wayo Wayoan second son - he is exiled and sent off into the ocean in a canoe and expected to die. Instead he finds himself living on an island made of garbage. Alice Shih is a grieving mother in Taiwan who "got up early one morning and decided to kill herself." When a massive earthquake hits, she goes back to sleep with the thought that she was planning to die anyway. Rather than dying "She got up, looked out the window, and found herself standing on a remote island in the midst of an immense ocean, as frothy waves rolled relentlessly across the distance toward the shore." The narration of the story switches between Atile’i and Alice. The two find themselves together when a tsunami causes the garbage island to collide with Taiwan. The two form a family-like bond and go on to meet a cast of others. Included is a dose of magic realism, surrealism, share cultural stories and myths, and a very pro-environmentalism message. It is very much concerned with the relationship people have with each other and especially with the earth. The progression of the narrative is not in a linear fashion, but instead has memories and stories intertwined with the plot development. While The Man with the Compound Eyes is well written and the translation seems to capture some of the lyricism that must be present in the original version, it is also not an easy, quick read as it will take some time and dedication to start to understand the rhythm of the book and the flow of the plot. Those who enjoy hearing stories and folk lore from other cultures and magic realism will likely appreciate this book. The overwhelming arching theme, however, is that we are destroying our environment, so if that will upset you, pass this one up. Disclosure: My Kindle edition was courtesy of Knopf Doubleday for review purposes.